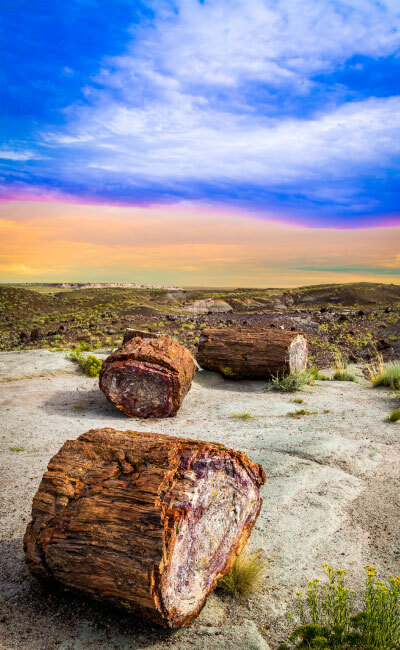 While most fossils are merely impressions of the original plant or animal life that made them, petrified wood is, essentially, a 3-dimensional representation of the original tree. Though none of the tree’s organic material actually remains in the petrified wood, the original structure of the tree itself is preserved down to the finest, microscopic details. It is often possible to observe structures such as tree rings in the petrified wood. Petrification occurs via a process known as permineralization. Over time, after a piece of wood has been buried under ground, minerals can slowly become deposited in the tree’s cells. These minerals harden and turn into a stone mould as the organic material around them dies away. The petrified wood can take on various colours depending on the types of minerals which were present during the petrification process. Petrified wood is quite common throughout Alberta, particularly in the badlands, and is actually the province’s provincial stone. One particularly impressive specimen of petrified wood was found by a hunter on the shores of the Athabasca River in 2012. The massive stump was later inspected, removed, and transported to the Royal Alberta Museum were it was displayed until April 2013. Petrified wood can also be found throughout BC. In fact, according to the Kamloops Trail blog, there is a petrified forest somewhere in the hills above the community of Barnhartvale. What was once a hillside covered by sequoias and redwoods is today a forest of their petrified remnants. If you ever decide to find this forest for yourself, please try to preserve the area as best as you can. Is your yard full of dead or dying trees that you’re hoping might turn into petrified wood one day? As cool as petrified trees and petrified forests are, the process of petrifaction takes millions of years. In the long meantime those trees will simply be an eyesore, and are better left taken care of by an experienced Western Canada arborist. 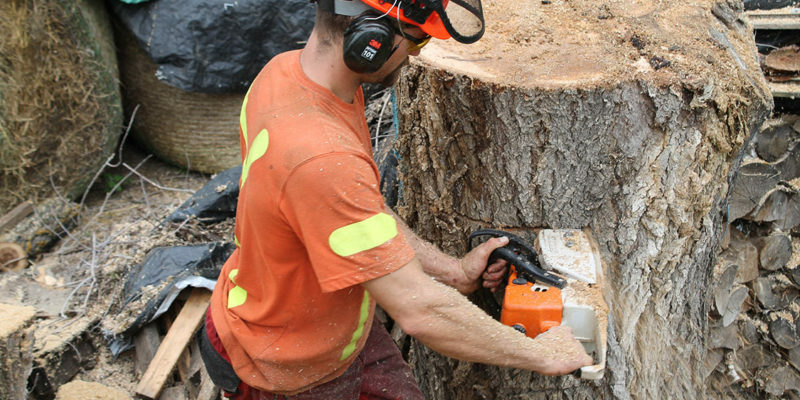 With locations in Edmonton, Calgary, and Kelowna, ArborCare Tree Service Ltd. offers tree removal, tree pruning, tree trimming, tree fertilizing, and all sorts of other tree care services. Give us a call if you’ve got trees in your yard that are just waiting to petrify.